Welcome to Day #27 of Chocolate, Fruit and Botanicals Month. 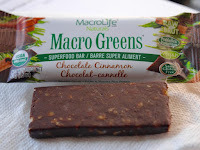 Today's organic, Macro Greens Chocolate Cinnamon "superfoods" bar from MacroLife Naturals, Inc., (Culver City, CA) had a slightly chewy compressed texture. The flavor was nutty (Brazil nuts were the first ingredient listed), with gentle hints of cacao and cinnamon. Both cacao powder and cocoa butter were incorporated into this bar. The bar was lightly sweetened with dates and agave. 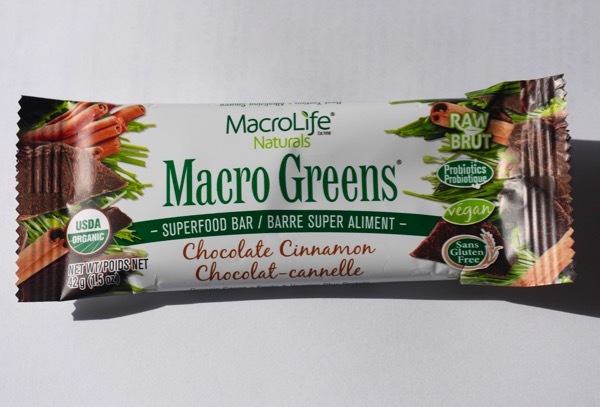 If you failed to look carefully at the wrapper, you might miss seeing that you're also receiving some nutritional benefits from a Macro Greens Blend of vegetables/greens from spinach, spirulina, carrots, barley grass powder, beetroot...and parsley. Some added protein came from rice protein and flax seed powder. 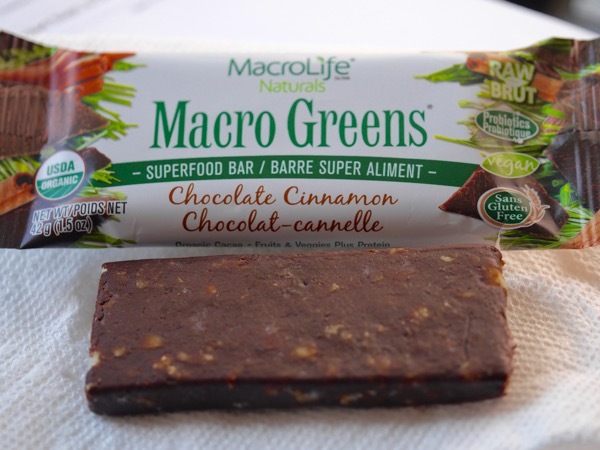 This bar was gluten free and vegan, and contained raw ingredients and probiotics.